St. Vrain schools have utilized iPads, authorized by a mill levy in 2012, to enhance teaching and learning through technology and improving the way students are taught with Edthena—a video coaching tool. SVVSD’s initiation of iPads and the use of video coaching was an approved technology resource to better teacher practice. When first receiving iPads four years ago, the video recording function on the iPad was one of the applications they quickly considered using. “If we don’t use technology to better ourselves and to hone our craft, then we’re going to be missing out on all the different ways that we can help students use technology to increase their knowledge and skills,” said Diane Lauer, Assistant Superintendent of Priority Programs and Academic Support for SVVSD. That led SVVSD on a path towards exploring different options with a tool that was going to support their work and support their teachers. “If students are using technology to better their learning and to support their learning, and teachers are using technology to better their teaching, why aren’t we using technology to better our practice?” added Patty Hagan, Teaching and Learning Coach for SVVSD. Before SVVSD spent any mill levy money, they gathered a group of teachers, principals, and parents from all across the district to have a series of meetings that became a learning technology steering committee. Its purpose became finding different ways students could learn. It developed into a process of looking at how they could meet the needs of not only students but also teachers. SVVSD’s motto is, “Academic excellence by design,” striving for kids to graduate with skills that are going to be marketable for their future, and academic technology is a big part of that. “By investing in technology, which is going to last them, those skills to further their education, whether they’re going to take online classes in college, or they’re going to need to be able to use technology in any kind of job,” Lauer said. Before they started using the camera video recorder on the iPad, most SVVSD schools used VHS cameras. The librarian kept it in an office and each teacher could check it out. Teachers could use it for a day, and possibly another teacher could use it the next day, an often long-winded process. With Edthena, teachers can operate it instantly. “You can see it so easily in so many different ways. You can share it flexibly. I can take it out of my iPad, put it on my laptop so I can really see it and think it, and I don’t have to get seven cords to plug it in. I can share it digitally,” Baker said. This new school year, SVVSD welcomed 230 new teachers. Around 50 to 60 of those teachers are brand new. That’s where the district decided to break the ice and chart new territory with video coaching. The district wanted to help new teachers accelerate with confidence and receive as much feedback as possible in the process with matched mentors or similar types of teachers. “We’re not just using it with our first-year teachers, we’re also using it with our experienced teachers as a tool to facilitate dialogue and learning for both parties,” Hagan said. Edthena has provided the ability for teachers to reflect on aspects of their teaching that they might not have seen before or would ever see. When watching video of the lessons they facilitate in classrooms, they have the ability to reflect on teaching practices and improve classroom instruction. Through SVVSD’s induction program, teaching and learning coaches assist new teachers by partnering them with a mentor. Teachers continue through coaching cycles, and video coaching is part of those cycles. Typically within one coaching cycle, they have recorded themselves a minimum of two times, and there is an opportunity for three to five videos to be passed back and forth between teachers. Mentors will ordinarily engage in three coaching cycles per year with new teachers. Teaching and learning coaches also pair the video observation protocol with other tools and resources across the district. They pair the video with a certain type of content and focus on a particular element of instruction. For example, they have a new math curricular adoption happening in every elementary classroom across the district. “Teachers now have the opportunity to pair video with this tool so that they can observe themselves teaching this program, and they can see what their instruction looks like with this tool,” Smith said. With the iPad app, malfunction has virtually become an obstacle of the past. Teachers, mentors, and coaches can re-record immediately afterward if an unfortunate mishap were to occur. “I had one video that didn’t work well, because when I was videotaping I put my hand over the microphone. There was this great video with no sound. Well, that was easy to fix, because that was user error. We knew right away it didn’t work,” Baker noted. Although some school districts currently record teachers for the entire duration of a class, SVVSD does not have any future plans to do so. “That’s cumbersome. That almost makes it like, ‘I don’t have a choice. This is forced upon me, done to me as a gotcha.’ It’s our goal that we really want to shift the perception from gotcha to this is about you, this is about your own growth. That’s where it has to grow organically,” Smith said. Most parents can remember when they were students, when the principal or supervisor sat in on a class, watched quietly, and scribbled listlessly on a legal pad. That still happens. 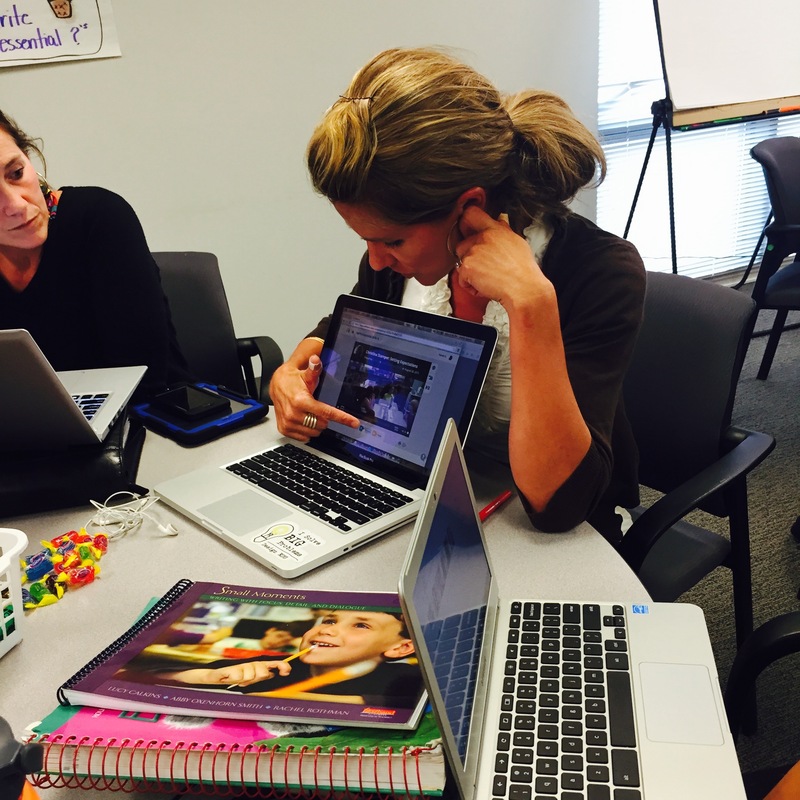 SVVSD’s biggest hope when they started video coaching four years ago was that teachers would get used to videotaping themselves to establish a habit that could be used throughout their entire career. “They did that on their own, and they didn’t have to wait for me to show up in their classroom,” Baker said. Many teachers coming in from different universities and colleges already have experience videotaping themselves while teaching, as well as plenty of other teacher-prep programs. “As technology continues to evolve, so do the norms around using technology,” Smith said. Educational technology has come full circle. It isn’t uncommon for students in college courses these days to sign in on their computer and interact in a virtual classroom setting with other students and teachers. Instead of negatively affecting our relationships with teachers, the adoption of video reflectionstrengthened our coaching work. A new era of professional development is sweeping into districts across the country, and just in time. For many districts, the days of after-school PowerPoint-driven lectures not differentiated by content, expertise, grade-level or delivery, not to mention daylong workshops on an obsolete topic, have recently given way to face-to-face coaching programs and professional learning communities. And in St. Vrain Valley School District, where we serve 32,000 students in seven towns northwest of Denver, we’ve gone one step further. We’ve augmented our professional development program with an online video coaching platform for classroom observation through one-on-one coaching and collaborative study teams. As one of nine exemplar districts designated by the U.S. Department of Education to be “Future Ready,” the integration of video coaching is an extension of our pledge to empower educators through personalized learning. But our decision also created some cognitive dissonance as we migrated to video coaching. While our PD coaching team was excited by the promise of video coaching enhancing teacher support, we were cautious in implementing the new video-powered process. Would video coaching effectively build upon the quality relationships we hold so dear with our teachers? Would the time involved tip the balance for those who are already stretched too thin? Would teachers benefit from the process in noticeable ways? We found that the adoption of the Edthena online video coaching and reflection platform not only strengthened our district coaching program, but our school-based collaborative learning programs as well. Developed by a former certified science teacher and principal, the platform helps schools and districts implement video observation in many scenarios, including teacher induction, teacher mentoring, professional learning communities (PLCs), and peer observation. Teachers using the platform analyze their instructional practice through recorded video and online collaboration tools. They upload videos of classroom instruction and share with colleagues who provide time-synced comments. The company just launched a new iOS app, which makes it possible to have a video uploaded before the class period is finished. Since our teachers and students each have access to iPad minis as part of our district plan to transform learning through robust technology-enriched learning environments, providing a video coaching tool they can use with their iPad minis really empowers teachers to own the observation and reflection process. That, in turn, accelerates the rate at which teachers implement changes to improve their craft because they can now upload videos of classroom instruction directly from mobile devices. Teachers really appreciate watching themselves and their peers in action. It’s powerful. It helps to generate ideas of how to teach concepts in new and engaging ways. And it instantly moves abstract theory into concrete conceptualizations. It also offers them the opportunity for pure, personal reflection because they can see themselves in action, acknowledging their strengths and identifying where they need to grow. As I’ve told my team, video = data. When our teachers and their coach connect face-to-face, the teachers are primed for deep conversations that incorporate concrete examples. And that’s beneficial for both veteran teachers and new hires. For example, this year, one coach and teacher focused on the transition time between when the class bell rang and when learners actually got to work. They used the video to capture evidence of student behavior, and then they used the time-stamping feature in Edthena to measure it. Together, the coach and the teacher worked to decrease wasted learning time and clarify what engagement really looks like. We also documented a case where a reflection from classroom observation raised questions relative to the ratio of positive interactions with students. The teacher thought she was providing a high ratio of positive interactions, but she couldn’t recall concrete examples. So the coach invited the teacher to video her instruction to note the positive engagements on her own. Even before the coach returned the following week, the teacher set a goal for herself for a 5:1 positive to negative student interactions each day and began changing her practice. Again, video = data. The fact that the online video coaching accelerated the pace of the professional development cycle even before the coach returned to the classroom was an important discovery for our PD coaches. Our teachers no longer had to wait until our next scheduled coaching conversation to reflect or plan a new goal. We started thinking about how we could empower teachers to drive their own learning and continuous growth with us as their guide on the side. As you contemplate your staff development for this year and beyond, consider the options available to you that empower teachers and accelerate their growth. How might you leverage a more differentiated, participant-driven professional sharing via 21st century technologies that specifically allow educators to curate, create, and collaborate amongst themselves quickly and conveniently on the things that matter to them personally? We are on the cusp of a revolution in professional development. As instructional leaders we are uniquely positioned to harness today’s tools to provide rich self-generated and peer-to-peer learning without the constraints of geography and time. If we want 21st century learners in our classrooms, shouldn’t we embrace 21st century learning to foster professional growth? During Thanksgiving Break my husband and I went to Spain. Barcelona and Madrid, to be exact. It was a glorious trip of a lifetime filled with wine, jamón, more wine and exuberant, heart-wrenching, fanciful as well as curious art. For eight days we toured one museum a day and on some days we toured two. I felt so lucky to be paired up with a man that loves a good museum as much as I do. It’s in our blood, we were taught to love museums and the masters of great art. 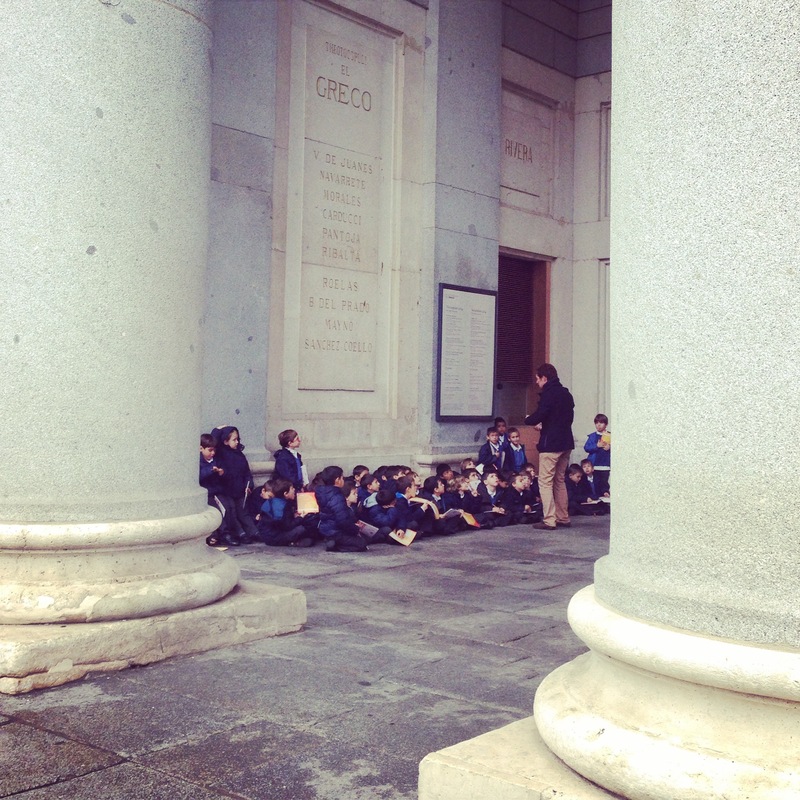 Outside el Prado en Madrid. Preparing to for a day of learning, focusing on el Greco, one of Spain’s greatest masters. One of my favorite stories told by my husband Jerry is his 6th grade trip to the museums of Chicago. Jerry was raised in Jackson, Michigan (a city not known for great museums) and back in the 70’s his 6th grade teacher decided that his students needed to go to Chicago to understand and appreciate great art, culture and learning. They raised money all year and they got tickets to take the train down to Chicago, stay in a hotel and for one entire week of the school year, the teacher, some parent chaperones and a class of twenty-six 6th graders were on the ground learning at the foot of great masters. 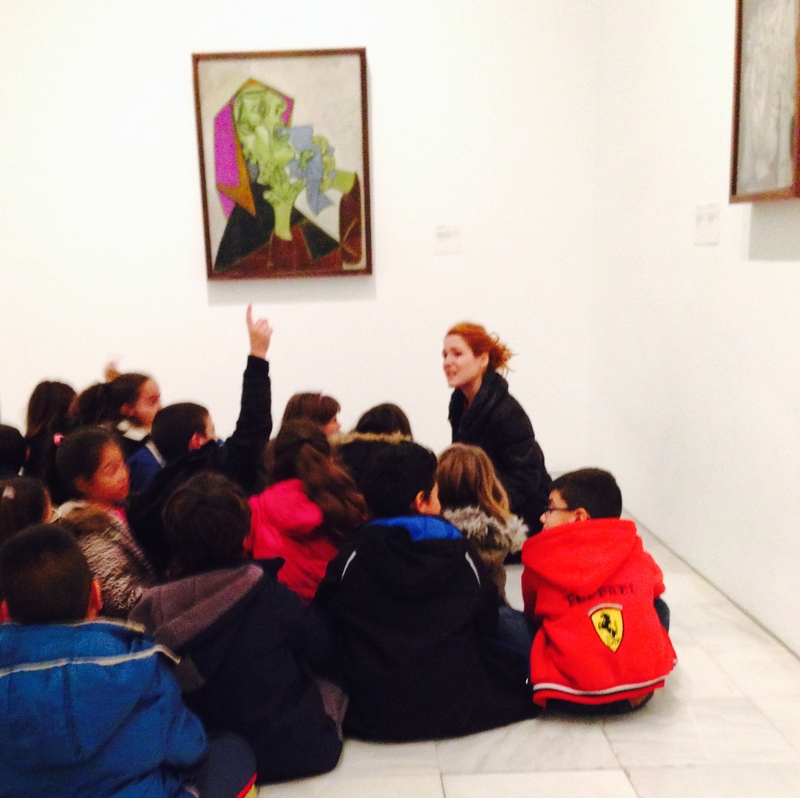 Reina Sofia, Spain’s national museum of 20th-century art. I grew up in the Chicago suburbs. I’m completely spoiled when it comes to museums. Every year I would go with my class mates and on separate family occasions to the Art Institute, Field Museum of Natural History, Museum of Science and Industry, the Adler Planetarium, the Shedd Aquarium and sometimes the smaller lesser known museums like the Chicago History Museum or the DuSable Museum of African American History. I really thought everyone visited museums on a regular basis. Everyone doesn’t have access to museums. Great museums, truly great museums, are located near the fortunate few who live in large metropolitan areas. I learned this when I moved to New Mexico when I started teaching and I asked my students where they wanted to go on their 8th grade field trip. They said “the shopping mall” with unrestrained excitement and glee. I remember thinking, what kind of teacher would take her students to the shopping mall? But, when you live an hour and half away from Albuquerque and you don’t go to the mall every weekend and weeknight to hang out and know what it’s like to do that, the mall seems a special place. So, you take the kids to the mall and you squeeze in a trip to the New Mexico Museum of Natural History and Science. And the following year, you take that group to Santa Fe for a trip to the mall and also New Mexico Museum of Art. But, that was over twenty years ago when I started teaching. Spending time in Spain during the holiday seeing hundreds of students visit the museums made me wonder about education in our country. Studying surrealism at la Reina Sofia. It’s not easy planning field trips. It’s very, very, very complicated. Finding chaperones, organizing time schedules, orchestrating bus logistics, coordinating student medications and student accessibility needs. It can take weeks of planning for one day. But what an important day. I studied Spanish for 6 years in school, from 7th to 12th grade I took it and in every textbook, in the section on Spanish culture, there would be a picture of Picasso’s Guernica. 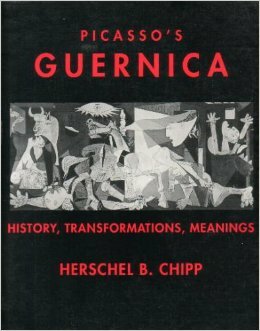 It was hard to understand the significance of Guernica. There would be pictures of melting clocks and swirling dots of Salvidor Dali and Joan Miro and flowers and Frida with her big eyebrows in the textbook. But it was Guernica who would make Señora Arispe tear up. It was Guernica she said moved a country. None of us really understood the terror of Franco and how glorious the feeling was in Spain during the 80’s; finally free from dictatorship and inhumane government induced suffering. But, for six years I learned that this work of art was important and so when I travelled to Spain and saw it huge and in person for the first time, with the maturity of an adult finally able to comprehend the suffering of the Spanish people through the world wars, their civil war, and their hundred year fight for democracy, I was struck with blinding gratefulness that I had been taught to appreciate and revere this work of art as an American teenager in the hope that one day, I would understand the lesson of humanity and the fragility of our collective presence on this earth. I wonder now if anything I ever taught in the classroom made such an impression on my students. One that so when they grew up, they remembered learning that something was so important, that even if they didn’t fully understand the significance at the time, had an opportunity to do so as an adult. 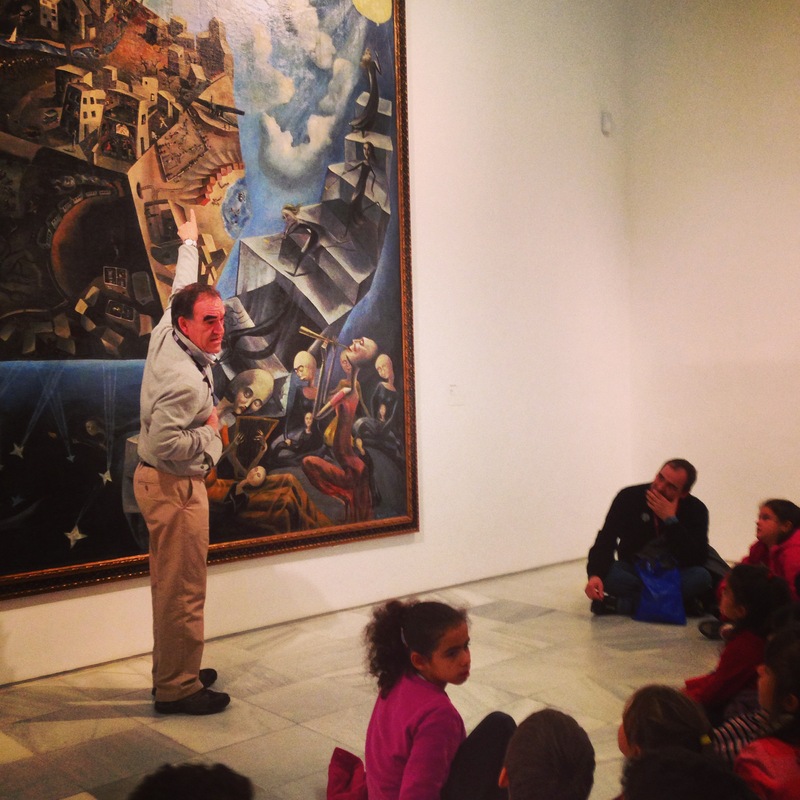 Seeing the students in Spain sitting on the floor of great museums, learning from their teachers makes me wish we never stop to take the time to provide our students with the knowledge of critical works of cultural importance in museums, in textbooks, and in our classrooms. It’s important. As I scroll through my Twitter and RSS feeds, a single day does not go by where I do not see a headline about the enormous social and intellectual benefits of entrepreneurship in education. The STEM movement’s emphasis on science, technology, engineering and mathematics has been a positive innovation for our field. The addition of “design thinking” to our educational mindset has resulted in increased opportunities for innovation and entrepreneurialism in our educational settings. Design thinking helps us process authentic problems for our students to solve, opportunities for creative thinking to evolve and productive collaboration in any subject matter content. We have actively endeavored to integrate entrepreneurial thinking in many of our classrooms, but where are we giving students the opportunity to truly BE entrepreneurs? That is the question I have been wrestling with as a P-12 education leader. Can We Teach Students to Be Entrepreneurs? Angus Chen explains Why the Typical Business School Class Can Never Teach You to Be an Entrepreneur. He says colleges and universities are facing what many would say is a potentially unsolvable problem. They’re trying to train the next crop of entrepreneurs through programs and coursework that just won’t be enough to really teach someone how to be an entrepreneur. People like Victor Hwang, a Silicon Valley venture capitalist, claim there’s just no replacement for real world experience. The only way to become an entrepreneur is to go out and do it. A recent Gallup poll suggests that many students in the U.S. have entrepreneurial aspirations and energy that could help drive future job creation in the country. Nearly 8 in 10 students (77%) in grades 5 through 12 say they want to be their own boss, 45% say they plan to start their own business, and 42% say they will invent something that changes the world. Despite their energy and ambitions, the Gallup-HOPE Index findings suggest many students are not accessing the education and work experience they need to help achieve their goals. Few report getting the type of practical knowledge and experiences that they believe will be useful once they are in the workforce. It’s time to intentionally provide our students opportunities to actively engage entrepreneurial experience and refine our current high school business and marketing classes to ensure what our students are learning is reflective of best business practice. According to Harvard Business School’s Shikhar Ghosh, 75% of all business start-ups fail. Author Steve Blank for the Harvard Business Review thinks the old game of “hit and miss” may finally have a a new twist. He believes the Lean Start Up methodology is a game-changer and it is starting to turn conventional wisdom about entrepreneurialism on its head. Recently an important countervailing force has emerged, one that can make the process of starting a company less risky. It’s a methodology called the “lean start-up,” and it favors experimentation over elaborate planning, customer feedback over intuition, and iterative design over traditional “big design up front” development. Although the methodology is just a few years old, its concepts—such as “minimum viable product” and “pivoting”—have quickly taken root in the start-up world, and business schools have already begun adapting their curricula to teach them. According to Eric Ries, founder of the Lean Start Up methodology, “Startup success can be engineered by following the process, which means it can be learned, which means it can be taught.” The Lean Startup provides a scientific approach to creating and managing business startups and in order to get a desired product to customers’ hands faster. Business leaders in the Chicago suburb of Barrington worked with the educator leaders in Barrington High School to develop a new course called Business Incubator Start Up. This course was purposefully developed to get students excited about becoming entrepreneurs. Students enrolled in the class will have the opportunity to create and fully develop their own product or service. Real-world entrepreneurs and business experts will serve as coaches and mentors guiding student teams through the process of ideation, market research, and business plan development. Over the course of the year, student teams will learn about marketing, accounting, human resources, as well as the legal aspects of running a business to get them geared up for Pitch Week. Pitch Week helps to further fire the entrepreneurial spirit by putting student teams in front of actual investors to pitch their innovative idea and possibly win funding to turn their business plans into reality during the summer and following school year. Should We Provide Programs to Teach Students How to Be Entrepreneurs? According to Startup Colorado, a regional consortium of entrepreneurs who share a vision of expanding entrepreneurship along the Front Range is shaping up to be a true entrepreneurial powerhouse. Sasha Galbraith warns in a recent article for Forbes Magazine, “Watch Out Silicon Valley! Colorado Primed to Emerge as the Next Hub of Innovation and Entrepreneurship. Burt Helm describes in his INC. article How Boulder Became America’s Startup Capital. Colorado universities have stepped up and revised their courses and departments to provide their students with top notch access to innovative business education programming. Many universities have developed partnerships with businesses to spark innovation and entrepreneurship, like Colorado State University’s Institute for Entrepreneurship which teamed up with Blue Ocean Enterprises to create Venture Fest and Blue Ocean Enterprises Challenge to ignite entrepreneurial spirits, attract and recognize the best new business ideas, and celebrate the Fort Collins and Colorado entrepreneurial ecosystem. But, innovation and interest in entrepreneurial learning isn’t merely a fascination in the USA. Entrepreneurship education is increasingly promoted in Europe, according to a new report published by the European Commission. Denmark, Estonia, Lithuania, the Netherlands, Sweden, Norway, Wales and the Flemish part of Belgium have all outlined national strategies to promote entrepreneurship education, while Austria, Bulgaria, the Czech Republic, Finland, Greece, Hungary, Iceland, Liechtenstein, Poland, Slovakia, Slovenia, Spain and Turkey have recently included it as part of their national lifelong learning, youth or growth strategies. Currently, 50% of European countries are involved in a process of national education reforms which include the strengthening of entrepreneurship education in their public school systems. The time is now to critically review the opportunities available in our schools to ensure that students have access to top notch entrepreneurial learning experiences, ones that engage them with local mentors and subject matter experts, and give them the chance to take healthy learning risks while they are in the supportive environment of their schools and local communities. Let’s give our students a chance to showcase their skills and talents on the entrepreneurial environment! 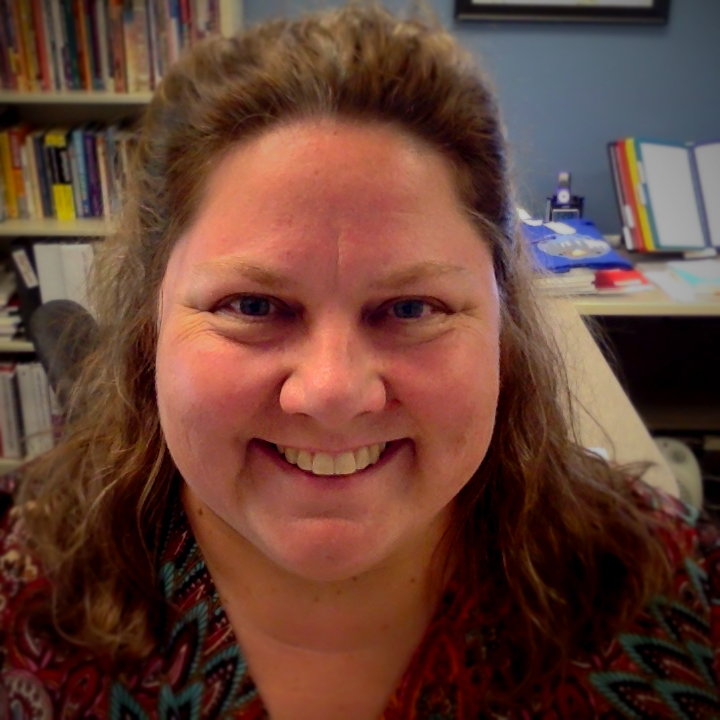 Next Generation Literacy Assessments – Are You Ready Middle Grades? Over the past year, educators in Colorado have been fine tuning their curriculum and instruction to the new literacy standards published by the Common Core State Standards initiative (CCSS) which were adopted by our Colorado Department of Education. Academic specialists have identified 6 Pedagogical Shifts demanded by the Common Core State Standards in Literacy. These six shifts generalize the overall differences between our old set of learning expectations, and the new learning expectations for students. The chart above was captured from EngageNY, a New York State side dedicated to assisting educators with the transition to the Common Core and the new Educator Effectiveness agenda. Now, we have another resource to align our schema, the Model Content Frameworks created by the Partnership for Assessment of Readiness for College and Careers (PARCC). In August, our state department of education announced that we would use the next generation literacy and math assessments created by the PARCC consortia beginning most likely during the 2014-15 school year. The PARCC Model Content Frameworks provide an exceptional overview of what middle level students need to know, understand, and be able to do. Open the grade level document of your choice in either 6th, 7th or 8th grade. While reading, and underline passages within the PARCC Model Content Frameworks that indicate evidence for one or more of the six pedagogical shifts. For example, while reading the 6th Grade Model Content Frameworks, I underlined this portion of text, “The balance of student writing at this level is 70 percent analytical (35 percent argument and 35 percent to explain/inform) and 30 percent narrative, with a mix of on-demand and review-and-revision writing assignments.” I believe this statement is an example of Shift 1, balancing informational and literary texts. What do you notice about the learning expectations in the grade level you examined? Did you identify areas where increased text complexity is expected? Did you see evidence of the importance of academic vocabulary? Did you notice how students will need to use text based evidence to support their thinking? Several Colorado districts have been integrating the strategies developed by the Literacy Design Collaborative. These strategies are posted on an emerging resource curated by ASCD called EduCore. The funding for our training was acquired by the Colorado Legacy Foundation. In 2011, the Colorado Legacy Foundation won a Bill & Melinda Gates Foundation grant to implement the Literacy Design Collaborative training in select districts to support their efforts in our state’s educator effectiveness agenda. The scope of the LDC work is the Module. A module is a specific unit of learning designed around targeted Common Core standards. Teachers of English Language Arts, Social Studies, Science and Other Technical Subjects are taught how to center their instruction around an outcome expectation called a Performance Task. The heart of the LDC Module is the Performance Task. The LDC has created a simple formula to assist teachers in designing strategically aligned performance tasks with the Common Core literacy standards, most especially in the areas of accessing grade level appropriate text and producing products of thinking/writing in the areas of argument, information, and narrative. They have created a menu of Performance Task Templates that can be modified and used in multiple situations in all types of content areas. Let’s look at the Argumentation Template Tasks to get an idea of what how the templates work. 4 Template Tasks to support the Narrative expectations. They have also created rubrics aligned with each of the three types of tasks: Argument, Explanatory/Informational, and Narrative. To access all of the LDC Performance Template Tasks and Rubrics click here. To watch videos to learn how to use the LDC Performance Template Tasks, click here. To review sample teaching Modules in Argumentation, click here. Are you Ready for the Next Generation Assessments? Seek out additional support from the multitude of sources online and experts in your own vicinity. Computer science in the United States is an overwhelmingly male discipline. Many of the the crucial factors in this gender imbalance are cultural; that is, the culture that has grown up around computer science has a variety of attributes that appeal more to males than females. How can we introduce more girls to computer programming? The Massachusetts Institute of Technology, in collaboration with the University of Colorado at Boulder, proposed a project to introduce computer programming through e-Textiles. Thompson School District is one of the educational institutions benefitting from this grant through the generosity and direction of the National Center for Women and Technology (NCWIT) and support from Intel, University of Colorado-Boulder and the National Science Foundation. E-textiles, also known as electronic textiles, are fabrics that enable digital components, small computers, and electronics to be embedded in them. Many intelligent clothing, smart clothing, wearable technology, and wearable computing projects involve the use of e-textiles. Electronic textiles are distinct from wearable computing because emphasis is placed on the integration of fabrics with electronic elements like microcontrollers, sensors, and actuators. Furthermore, e-textiles need not be wearable. For example, e-Textiles are also found in craft-making, quilting, toys, and interior design. All five Thompson School District middle school Family and Consumer Studies teachers engaged in a two-day training to increase access to STEM (Science, Technology, Engineering and Math) in their typically girl-dominated classrooms. Each will pilot the e-Textiles project with their students this fall. This curriculum module will engage students in the engineering design cycle. Students will go through the different stages of this process: investigate, design, plan, create, and evaluate. They will learn the skills to produce two e-Textiles products: a bookmark and a stuffed “monster“. Important learning concepts will be the electronic science behind the circuitry and computer components. Students will learn visual programming skills using the Arduino programming language in order to use LilyPad Arduino toolkit. The e-Textiles Pilot Project allowed our Thompson teachers to be learners, too. About 50% of our teacher participants had previous computer programming skills. For the other half of the group, learning to code was a brand new skill. On the first day of the training, each teacher participant designed and produced a eTextile bookmark using felt, conductive thread, glue, LED lights, a laptop for programming and a LilyPad Arduino computer chip. Each teacher used this as an opportunity to experience the design process as learners in their classrooms would. On the second day of the training, the teachers created a “monster” following the process that their students would in their classrooms. They conceptualized a design, created the product, wrote the programming code to light up their monsters and add a musical component as well. After each lesson, the teachers debriefed the learning process with NCWIT facilitator, Stephanie Weber, in order to conceptualize how the lesson would unfold in their classrooms with 6th, 7th and 8th grade students. The Thompson teachers predict their students will really enjoy this project. It will give them a chance to personalize their learning and express their individual, creative side. It will also give them an engaging context for integrating the use of computer programming and make connections to the world of computer engineering. Hopefully, through this project more students will have access to STEM-focused career pathways. It’s vitally important for us to find opportunities to engage students and interest them in these areas. Stephanie Richards (Walt Clark Middle School) shows her creativity in her light up bookmark.